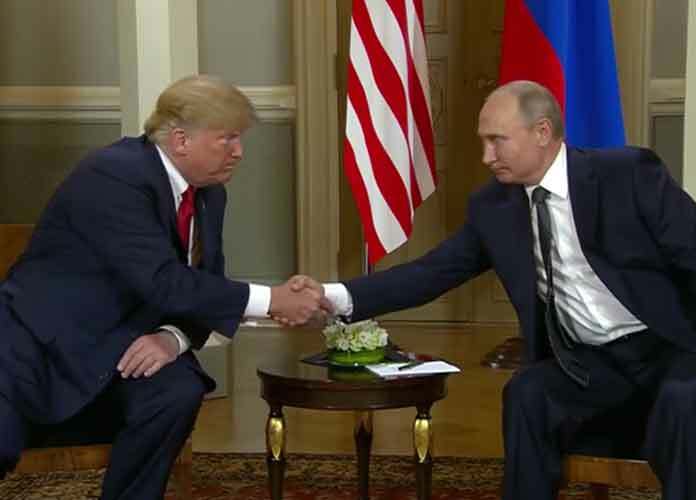 An ABC News/Washington Post poll found that a majority of Americans disapprove of the way President Donald Trump handled the post-summit news conference with Russian President Vladimir Putin. Trump said at the press conference with Putin that he doubted Russia intervened in the U.S. election — rejecting the conclusions of U.S. intelligence agencies, federal prosecutors, and the House and Senate intelligence committees. Shortly afterwards, Trump backtracked, claiming he misspoke following widespread condemnation, including from fellow Republicans. Only 29% of Americans approve of Trump’s handling of the Helsinki summit conference — 56% percent disapprove. However, there is partisan divide between Republic and Democrats. Seventy percent of Democrats and 61% of liberals strongly disapprove of Trump’s questioning U.S. intelligence conclusions that Russia meddled into the presidential election. Twenty-eight percent of Republicans and 24% of conservatives said they strongly approve. Perhaps more troubling for the president is that 59% of independents disapprove, as do 68% of moderates. Trump had an edge with independent voters when he defeated Democrat Hillary Clinton in 2016. The poll also found that 47% of Americans think the country’s world leadership has gotten weaker under Trump, with 30 percent believing it has strengthened, and 20 percent responding that there has been no change. A poll from CBSl showed that since last year, more Democrats and independents said they think Trump is acting too friendly toward the Russian president, while more than three quarters of Republicans believe the president strikes an appropriate approach to Russia.